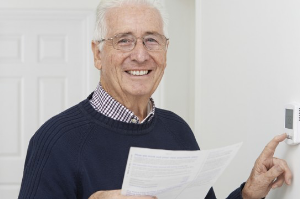 Under the ECO scheme, the ‘Big Six’ energy suppliers are obliged to help us to reduce our heating bills and improve the energy efficiency of our homes. 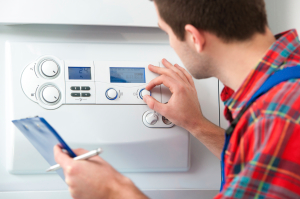 While the efficiency of your boiler is key to this, the best boiler in the world will struggle to heat a home that is continuously losing heat through through poor insulation. 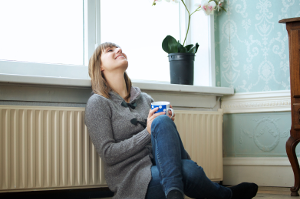 This can be as much as 35% of your heating escaping through the walls and up to 25% through the roof, which is a significant amount of money wasted on heating the outside air. Many UK homes are very poorly insulated and, aside from the financial savings, improved insulation can improve your comfort, lower your carbon footprint and reduce the noise from the outside world. Insulating your home is a much quicker process than you might assume and, if you qualify for a grant, it could be done at absolutely no cost to you. Why Improve Your Home’s Insulation? Cavity walls include a gap between two layers of bricks which is intended to prevent damp, but it’s not a great insulation technique. Inserting insulation material into this gap is a simple and quick process that could save you up to 35% on your annual heating bill. For solid walls, internal wall insulation involves adding a layer of material on the internal side of your walls which is then covered with a new stud wall, or by glueing insulation boards directly onto the existing walls. Improving loft insulation could save you up to 25% on your annual heating budget. And, in addition to saving you money, insulating your roof can open up it up as a usable living space like an extra bedroom or study. If the pipes in your attic also need insulating then this will also be taken care of which should protect them from freezing and bursting in cold weather. All work will be carried out by qualified professionals and meets Building Regulations making it a real selling point if you ever sell your home in the future as insulation usually lasts for 40 years or more. Making your home easier to heat will also lower your carbon footprint, reducing your impact on the environment by between 560kg and 1.9 tonnes per year. Both you and your property need to meet certain requirements to qualify for an insulation grant. If you’re a permanent resident in England, Scotland or Wales, a homeowner (or a private tenant with your landlord’s permission) and you’re in receipt of any of the following benefits, you can apply for a 100% grant for cavity wall insulation or loft insulation. 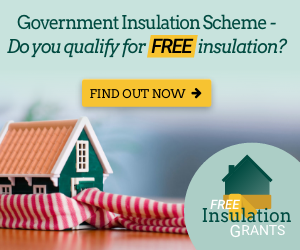 If your loft has under 60mm (2.5″) of insulation currently, you’ll be eligible for a free loft insulation grant. If you live in a brick built house that was constructed between 1924 and 1982 you’ll be eligible for a free cavity wall insulation grant. Your house will also need to pass a suitability test which includes checking that you don’t have a significant damp problem. As with the boiler grants you may not be offered a grant that covers the entire cost of the insulation but a substantial portion of it. If this is the case you will be told how much you would need to contribute before deciding to go ahead; you’re under no pressure to agree to anything you cannot afford. It’s really simple to apply. Visit www.freeinsulationgrants.co.uk and complete the short online form. It only takes a couple of minutes and someone will be in touch to discuss your eligibility in more detail and guide you through the next steps. At a later point in the process you’ll need some paperwork detailing your income-related benefits to confirm that you’re eligible. The final stage involves an ECO scheme approved company sending a qualified surveyor to visit your property so that they can advise which is the right type of insulation for your home.